I’d spent the day keeping Dawn company. Her shoulder is recovering nicely and she is taking very little pain medication. Today, she and I layed around, watched TV and basically did nothing. At 3:00pm I was eyeballing the kayak thinking of maybe catching a sunset paddle. The winds had been 10+ all day so I didn’t even consider a flight. But at 5:00 the breeze started to mellow and at 6:30 it was flyable. I kissed my bride, jumped in the truck and was at the field a good hour before sunset. I was expecting to find the skydiving operation busy on such a beautiful Saterday evening but there wasn’t a soul at the field. Maybe everybody was in Lakeland at the Airshow. Whatever the reason, I had the place to myself and was happy to be there. Before leaving The house, I noticed that I’d left the key in the ignition … Doh … Fortunently I had the mini jumper with me. I wouldn’t have the juice to start it twice so I pushed the trike out to the runway instead of motoring out and set up to launch going north. I think I’m going to redo the throttle strap with all wrap and incorporate a piece to use for cruise control. About 45 minutes into the flight I decided to go back up and hopefully ,shoot the sun just as it dropped below the horizon. I closed the trimmers all the way, mashed down the throttle and was surprised at the climb rate. I was acending at 260 ft/min whereas before it was a miserable 125. If the wing climbs this well in sinking air, I wonder what it will be like when it’s stable? I was amazed. Since I bought the Lift, I’ve been experimenting with the Reflex aspect, how fast could I go and how much power did it take to stay level. I was only closing the trim for landing… But, what would happen if I kept the trim in hand during launch and closed it at takeoff? Would I jump into the sky? The question is…Would I have to let go the brakes or could I close them with the brakes in hand? I think if I try that I’ll risk stalling the wing but there might be a way to configure things so I still have the brakes in hand and be able to pull “full closed” or perhaps, just pull the trim until I begin to feel the brakes. It’s gong to be HUGE! A twofer for three flights…. Afternoon flight became a 2fer when I had to come about and land immediately after take off. Fouled lines were causing a hard right turn. I adjusted slightly with the trimmers and counter brake on the left side. The landing was very fast…. The flare felt normal. Post flight, I did not find any crossed lines but there was something going on where the tip steering clips in. I probably freed it when I pulled it off the magnet, but I doubt the magnet alone could have locked in a line. It’s possible that it was the tip steering, perhaps it was wrapped in the risers and just a couple of inches of lost motion was enough to cup the tip. I might have been able to fix it inflight ….at this point, there is no way to know for sure. I’m courious if I did the right thing by letting the right trimmer out a bit (probably a third). It made the right side of the wing fly faster and did counter the turn so that I could fly straight. I could also have allowed the wing to continue the turn and landed as it came around instead of forcing the wing to turn to the left. Position wise, the left turn put me dead center over the runway, where as, following the wing around, would have put me at the far end of the runway at best and possibly, into a flooded field at worst. it felt good to know I had the ability to turn in either direction by working only the left brake I could fly the wing leaving the (out of tune ) right side alone. The third flight was great! Clean launch and landing. Nice sunset. Whatever the cause of the problem … I should check the Tip Steering lines during future preflights. Author JoeOPosted on August 28, 2015 Categories TechniqueLeave a comment on A twofer for three flights…. For the last two weeks I’ve been experimenting with A Assists. The idea is to have the A lines uniformly pulled during inflation with an attachment just forward of the hang point loops. The line that hooks to the A Mallon is adjustable and can be released in flight. So far I’m undecided, the wing comes up slower than if I’m the one controlling the A’s and unless I’m doing something wrong they don’t always come up as straight as advertised. One time it was because the assist line got snagged and another time the lines might have been uneven. Another thing I’m not to fond of is that unless they are detached on landing the wing is prone to inflate itself. This morning while I walked back to the truck to retrieve the wing bag, the wing inflated and built a nice little wall. One little puff and I think it would have launched itself. Yesterday it did! If there is any breeze at all I’m going to have to remember to release the tension on the A’s. I like holding the A lines during inflation. It allows me to feel the wing and adjust with brakes or steering the trike. Using the Assists I can only monitor the wing by watching it. That may be better if my helmet doesn’t get in the way. On the next flight I’m going to pull the A’s out another 1/2 inch and see if it does n’t come up a little faster. This morning there was a light breeze from the south I could see 4 balloons that had launched from the Gunbarrel area. It was perfect, I could fly into the wind and meet the balloons half way, and then, hopefully, they would come back to Vance Brand to land. The take-off was good and I passed through two layers of bumpy air, one at 300 ft. agl and another at 1600 ft. agl. The breeze changed direction at 300 ft and died completely above 1600. There was no way to know where the balloons would land. So… what I thought was going to be a headwind toward the balloons turned out to be a tail wind. When we met at about 2000agl I couldn’t tell what direction the air was moving. I did a few fly-bys and headed back. Egil came out but didn’t fly due to a tear in his wing. The video speaks for itself. First chase cam flight in moderately bumpy air. Cool Evening 43 degrees. Robert Kitilla … Ryan …. And I. The wing started to fold up on takeoff but I was able to slow down taxi until it reenflated and stabilized. Flew for just under an hour finishing with all three us us in the air. The new south taxi way is layed and is just perfect to practice touch and goes. Swoop pond is dry and also good but the surface is a bit soft. 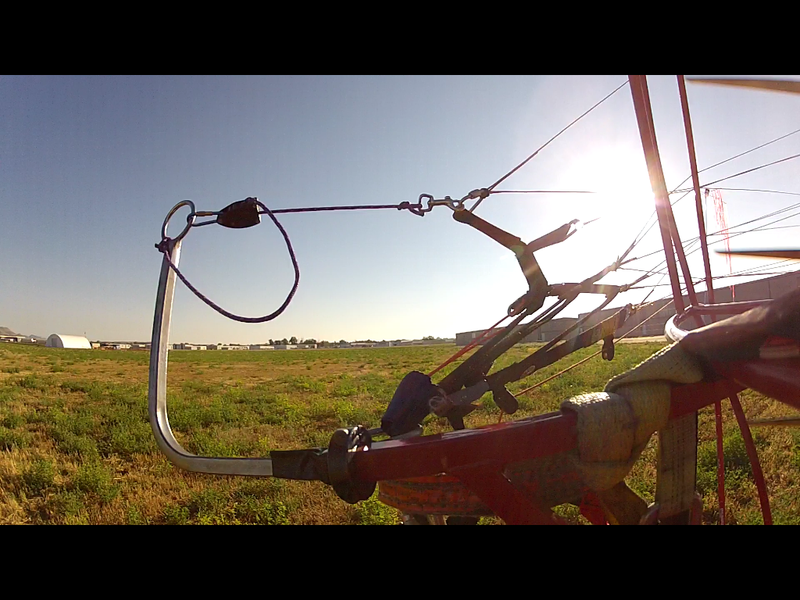 Opps … Powered paragliding with the risers out of balance. Daylight Savings changed to winter mode weekend so…. I was a little off when planning what time to leave the house. I could have tried the Saint Mary’s site, its only a mile away, but I wanted a long runway with a smooth surface. The rows of bumpy ruts and high tension wires at Saint Mary’s just didn’t suit me tonight… I needed a nice easy LZ. Vance Brand was looking good, I arrived at 4:00 pm and wasted no time putting up the wind sock and and unloading the Falcon. It was 40 degrees, not quite cold enough to warrant the Electric G gloves but I wanted to try them out so that this winter, when it really got cold, I would be familiar with all the hook ins and where they went.. By the time I was ready to launch it was 30 minutes till sundown. The wind was light from the south, not unusual for this time of day but it was the first time I’d launched to the south at Vance Brand. I layed the wing on my lap and powered to the north end of the LZ about 50 feet from the General Aviation runway. There was plenty of room but with the Eden III lots of runway is a good thing. The G-gloves were bulky but manageable when I was positioning my hands to hold the the A mallions for inflation. The wing came up quickly … I added some brake to allow time for the trike to catch up and started my run out. The takeoff was sluggish and I found myself turning to the right. Even at full power I wasn’t gaining altitude and a couple of times I considered. aborting but I had turned 180 degrees and was flying toward the runway. The correct thing would have been to go with the turn but I decided to fight it and kept adding left brake until I was able to fly straight. 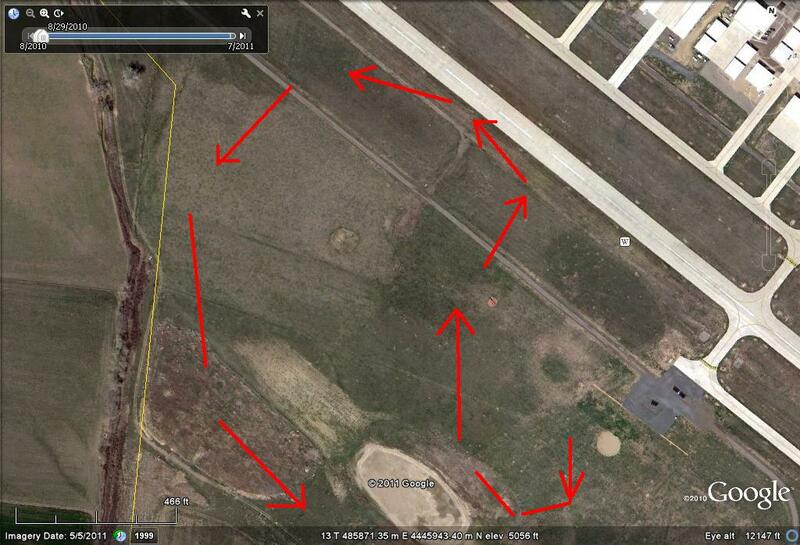 Eventually I was pointed at the west end of the runway and then turning back toward the truck. The wing was climbing but slowly. I looked and knew there was something wrong that was causing the turn but I didn’t catch it until I landed. Despite being aware of keeping the trimmer cams above the hang point loops while setting up, the right side had somehow slipped down, hanging the trike from the hang point loop and the cam. This has happened to me before and a couple of times I was able to free the cam but for some reason perhaps the bad light and dark sunglasses I didn’t see the problem. 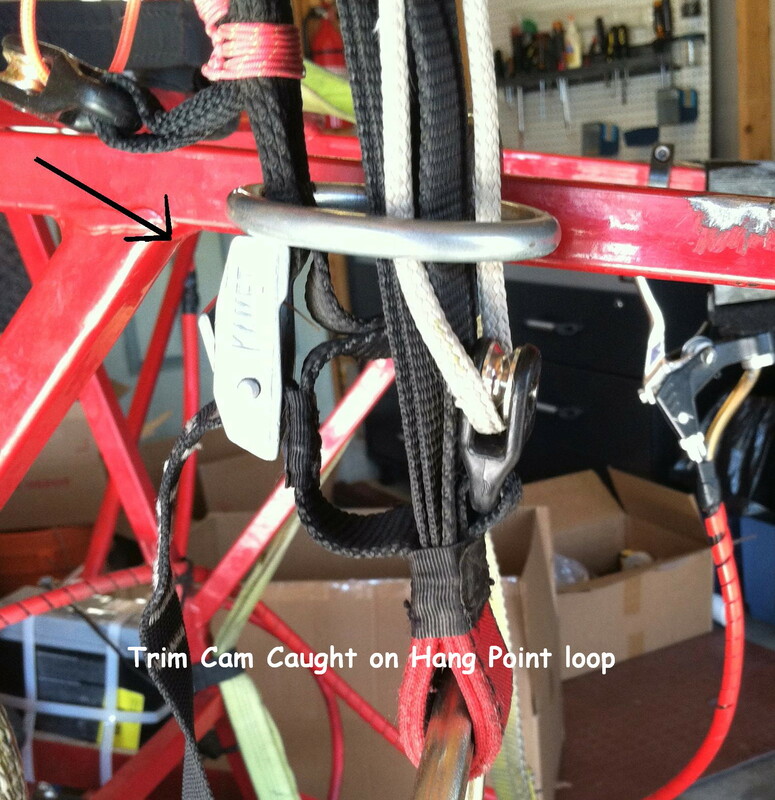 It is not a good thing, the hang point loop isn’t designed to take a load and when the cam is caught below the steel ring it causes the risers to be off center by more than an inch. The wing will naturally cause a turn forcing me to used brakes and lose energy to maintain a straight line. Perhaps it happened when I was adjusting the wing or positioning the lines…. whatever the cause, I was having to use lots of left brake to fly straight and when it was time to land I was using a huge amount of brake on the left side to maintain. It is a small wing and needs speed to fly so I was a a distinct disadvantage, being forced warp the wing into an inefficient configuration to remain aloft. The Eden riser is different from the PowerPlay, it is more apt to do this and so I’m going to have to make it one of the last checks before starting the motor, expecially when I fly the Eden. The second flight was just to prove I could. Take off was fine but the climb out was slow. When flying the Eden I’ll have to allow for more room to gain take off speed. The place where I had set up was adequate but there wasn’t a lot of room for error, I found myself using brakes to get off and then I had to stay on them to avoid dropping down. Eventually I was stable I let up the brakes which allowed the wing to climb and the climb was good. 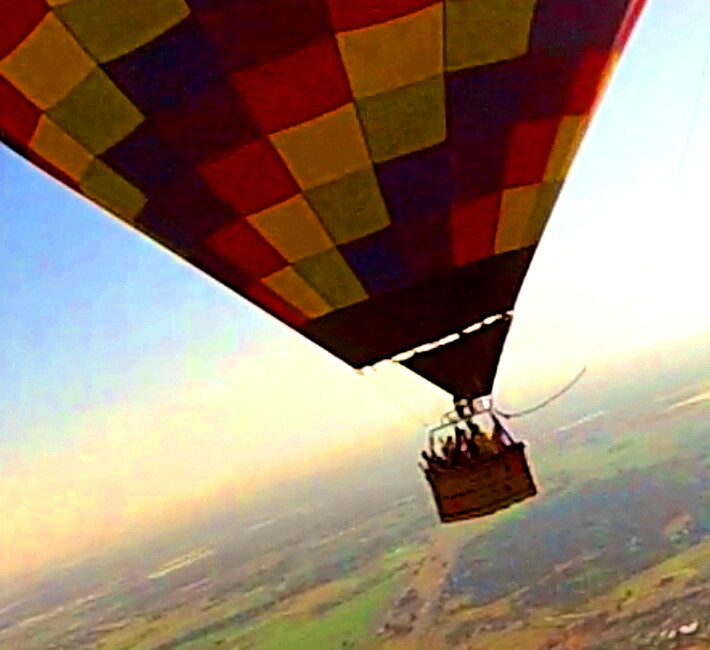 I circled up to 400 feet and pulled a couple of wing overs, circled over the hangers and landed. It was all good and the landing was clean. 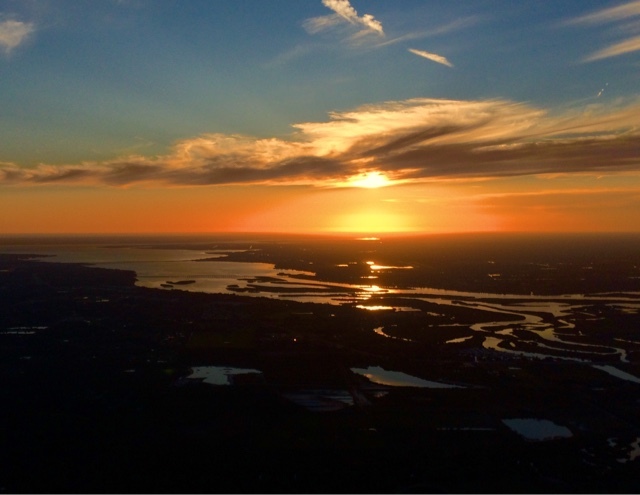 Author JoeOPosted on November 9, 2011 March 28, 2017 Categories errors, Technique, UncategorizedLeave a comment on Opps … Powered paragliding with the risers out of balance.